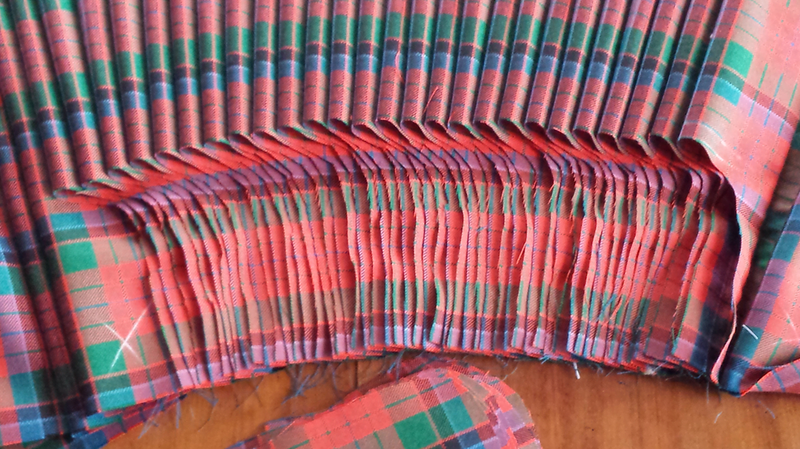 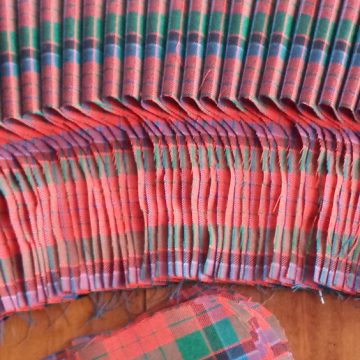 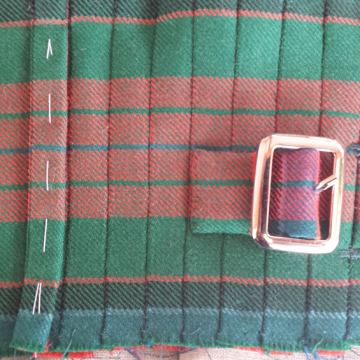 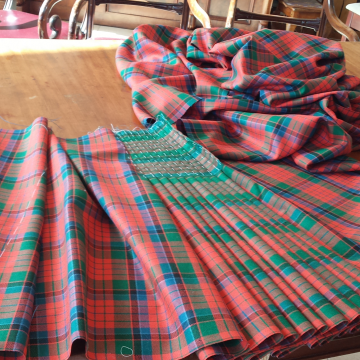 This is over 8 yards of tartan in this kilt and each of the pleats are individualy hand stitched and measured to ensure the perfect fit. 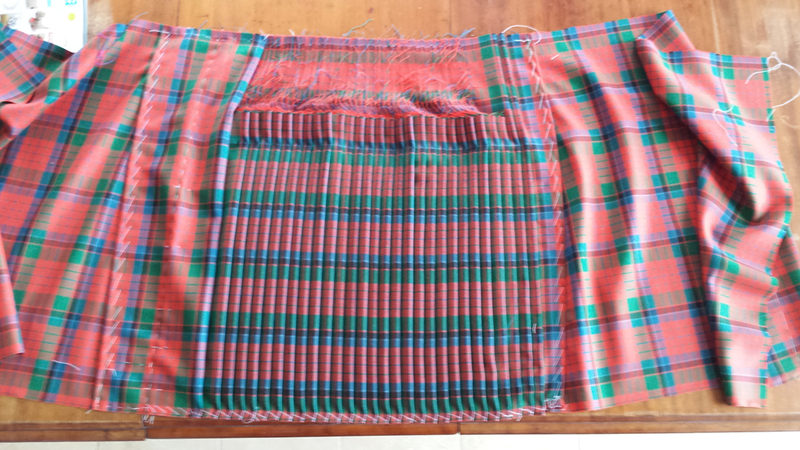 The pleated area is trimmed to reduce the bulk of almost 6 yards of folded cloth. 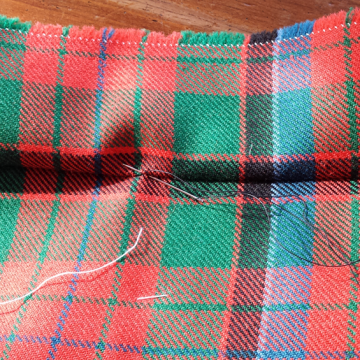 There is a box and spring pleat on either side of the main pleats to allow for alteration. 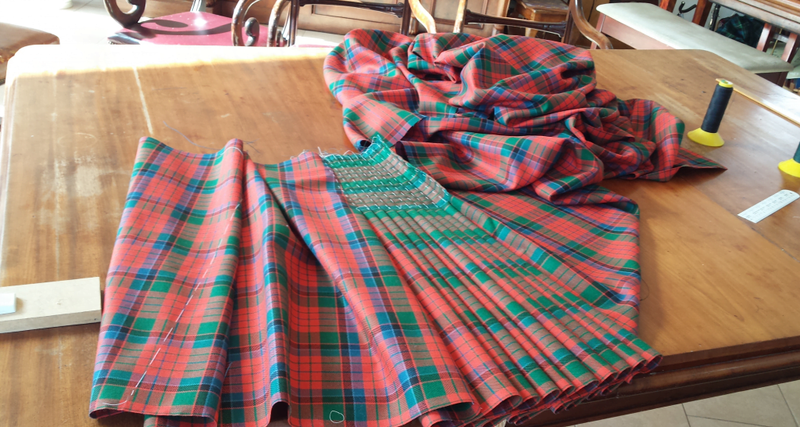 All the main pleats are lifted and secured to prevent sagging over the years. 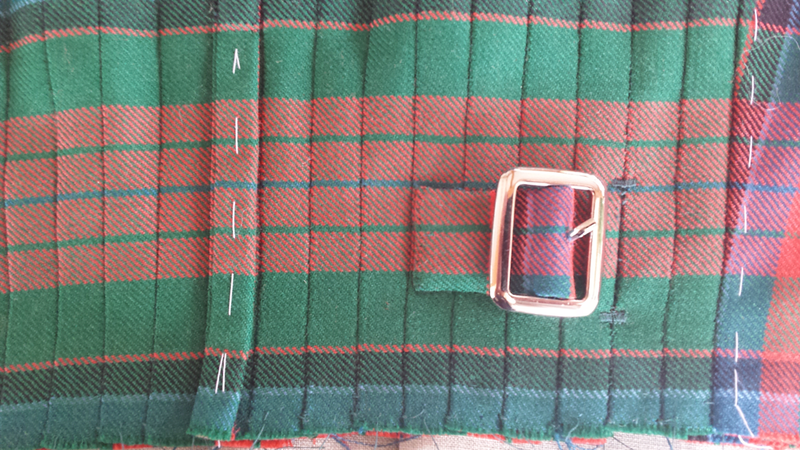 There is close attention to detail, positioning and quality of stitching at all times. 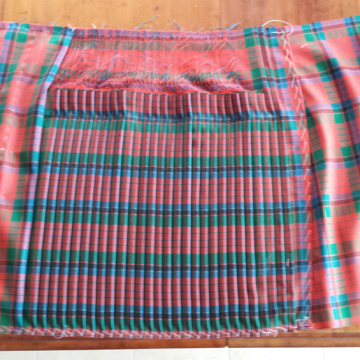 There is care in ensuring that the waistband and apron pattern match with precision and at the pleats, the waistband is positioned with symmetry. 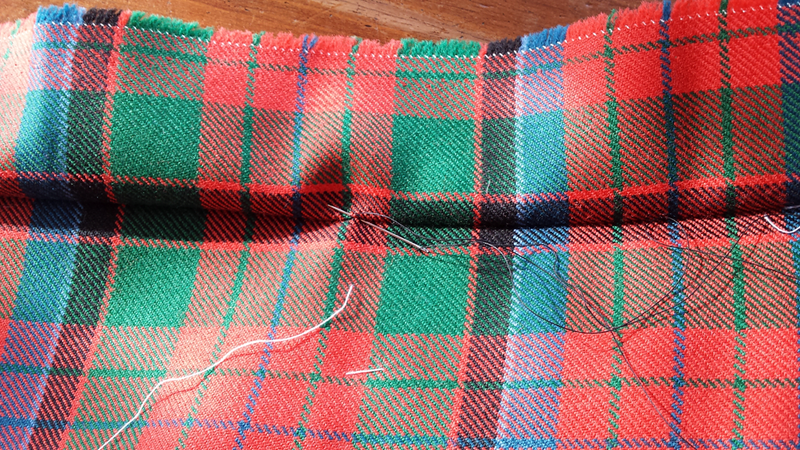 There is spare fabric contained within the band to allow for alteration.